Before I start I must talk about today's piece. It's a random collection of thoughts and stories that I tried desperately to piece together into a story about how forgotten Vallecas is. The end result? A random collection of thoughts and stories. It lies in Vallecas. On the Av. del Ensanche de Vallecas, to be exact. It's a club whose president's middle name is Martín. No titles to its name. In the shadow of Real Madrid. No, not Rayo. Or Rayo B. Stand on the Av. del Ensanche de Vallecas and look right - you see the Ciudad Deportiva Rayo Vallecano, shared by Rayo B and Rayo Vallecano Femenino. Look left, and you see the Estadio Nuestra Señora de la Torre. Home of Vallecas CF, a club whose president is Manuel Martín Piedra. In the 2008-09 season, as Rayo emerged from the Segunda B and shocked the second division by coming fifth, Vallecas CF emerged from the fifth tier and shocked the Tercera coming ninth. Even then, Real Madrid's C team overshadowed them by coming eighth. Vallecas' first team may be in the sixth tier of Spanish football, but it's their women's team, playing in the second tier of Spanish football, that is - they play in the same group as the Rayo Femenino B team. Rayo actually signed Ángela Del Álamo from Vallecas CF this season. The most famous Rayo graduates are, undoubtedly, Míchel and Álvaro Negredo. And very few remember defender José Manuel Freijo - not that anyone would expect you to do so. The Spaniard/Equatoguinean played for Rayo's B team between 2003-05, for Atlético Madrid's B team from 2005-07, for Guijuelo in 2007-08 and for Marbella in 2008-09 - the last two and the 2004-05 season at Rayo being his only three hurrahs in the Segunda B. He went on to play in Navalcareno from 2009-10, for Marchamalo in 2010, for Vallecas between 2011-14, and is now at E.D.F. Torres. E.D.F. Torres last played in the fifth tier in 2013-14, surviving by just a point. There is no record of them playing in the Spanish football pyramid thereafter that I could find - I found something about them now being in some sort of amateur competition, but could find no verifiable record of this. Colin Zizzi, an American, played a season at Vallecas CF. That's right - between his time as a youth academy product at American Eagles (2007-10) and his time playing in the USL Pro for the Harrisburg City Islanders (2012-14), he played for Vallecas CF for the 2010-11 season, then as a midfielder. Or, as Penn Live called it, "a year playing professional soccer in Spain". And never asked about it. To be fair though, they did talk to him in a separate article, which you can read here, about how he felt accepted despite being far away from home. Interestingly, he was only able to play in Spain by gaining Italian citizenship through his grandfather, Cosmo J. Zizzi Sr.
Vallecas may have been annexed by Madrid in 1950, and Vallecas may feel they are independent from Madrid, but Madrid have certainly got a lot of use from Vallecas. Puente de Vallecas is home* to the Federación de Fútbol de Madrid, Federación Madrileña Aérea, Federación Madrileña de Ajedrez, Federación Madrileña de Billar, Federación Madrileña de Boxeo, Federación Madrileña de Gimnasia, Federación Madrileña de Patinaje, Federación Madrileña de Pesca y Casting, Federación Madrileña de Squash y Racquetball, Federación Madrileña de Tenis de Mesa, and the Federación Motonáutica de Madrid. 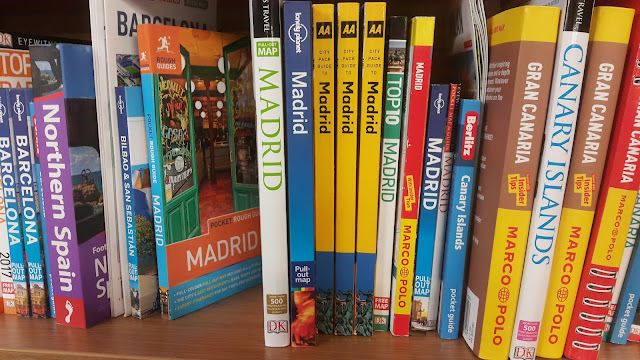 So just to recap, if you are in Madrid and you want to contact or get involved in any of football, aviation, chess, billiards, boxing, gymnastics, skating, fishing and casting, squash and racketball, table tennis, or power-boating, you would have to travel to a part of Madrid that doesn't consider itself to be a part of Madrid. I don't think I can sum up Vallecas better than that. *It is also home to the Federación Madrileña de Colombicultura and the Federación Madrileña de Deportes de Parálisis Cerebral - which deal with pigeon keeping and those with cerebral palsy who want to get into sports respectively.